We must confess – we almost always finish our bottle of wine at our dinner table. 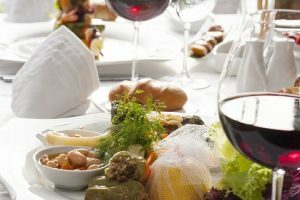 However, there are times when we host wine tasting parties, we would have several half-consumed, open bottles of wines. For our leftover wines, we re-cork them and store them in our wine cooler – we typically drink them or cook with them within a couple of days. We usually make our favorites: Coq co Vin and Beef Bourguignon – slow simmer them in the full-bodies reds. So, for us, a wine preservation system to keep an opened bottle for just a couple of days meets our need. Our good friends, Craig and Brigitte, one likes Cabernet Sauvignon, the other Chardonnay. It takes them four to five days to finish an opened bottle of wine. For Craig and Brigitte, they want a wine preservation system to keep an opened bottle for about five days. How many ways you can store your wine after opening? First you want to store your opened-bottle in a cool place. You don’t want to leave it at room temperature. If you don’t have a wine cooler, a refrigerator will work for a day or two. You want to re-cork and, if possible do vacuum out the air (oxidation) from your wine bottle. If you don’t have any wine stoppers around, try using the original cork. An olive-oil bottle cork. Save your olive-oil stopper – most of them have the same size corks as the wine bottle corks. DIY stopper. Try using a cling wrap and rubber-band to close the opened-bottle. Half-size wine bottle with a cap. Buy a half-size bottle of wine, use it for cooking if you want. Save the bottle to store your half-consumed wine. Wine stopper with vacuum. These stoppers are effective to vacuum air out of your opened bottle, and re-seal it. Wine stoppers without vacuum. These are small and portable stoppers. Put one in your purse – you will be the hero when your friends need one after a dinner party. 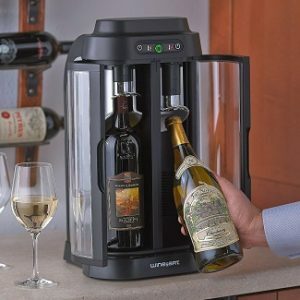 Wine preservation system to keep your wine from 2 days to 10 days. What makes a wine go bad after opening? The biggest enemy to wine is oxidation for a long period of time. (Ironically, it is beneficial to aerate your wine, a short oxidation, using a decanter to improve the taste of your wine). Prolong oxidation will change its aroma, color, and it will spoil your wine. 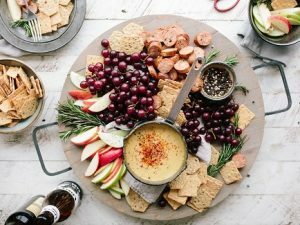 You might have heard of wine turning into vinegar – that’s when alcohol turns into acetic acid – not a good thing. All of us want to preserve the same quality of taste from the first sip to the last sip after we uncork our wine bottle. Keep your opened bottle in a cool and dark place, i.e. a wine cooler. So, when we were asked, “what is the best wine preservation system”, we decided to choose preservation systems based on “how long” you intend to keep an opened bottle of wine. Is it within a couple of days? A week? Or, a couple of weeks? What is the original Vacu Vin Wine Saver? 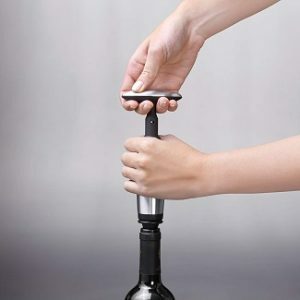 The original Vacu Vin wine saver is a wine preservation tool deploying the method of vacuuming out the excess air from an opened bottle, then re-seals it with the Vacu Vin stopper. How does the original Vacu Vin Wine Saver work? The Vacu Vin wine saver pumped out the air from an opened win bottle, and made the bottle air-tight. Then re-seals the bottle using the Vacu Vin stopper. When you are ready to enjoy your wine, just pull the stopper out, and yourself a glass. 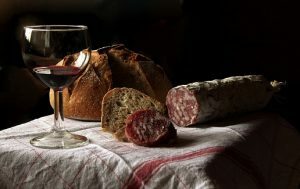 Why Vacu Vin is our top pick for 5-days after first open? My grandpa Jack has been using this Vacu Vin preservation tool since the 80’s (he first discovered Vacu Vin during his stay in the Netherlands). When my grandpa Jack says it works, it gets our vote. But seriously, who can argue with 35 million Vacu Vin users in 80 countries? Vacu Vin saver preserves your wine by pumping out the air, then Vacu Vin stopper re-seals the bottle – it works perfect every time. This Vacu Vin is tried and true, easy to use and it is affordable. This preservation tool is best to preserve an opened bottle for less than five days. And, the reusable stoppers last for years. This Vacu Vin is made for red or white wine, not Sparkling wine bottle. Do not place this Vacu Vin in the dish washer, hand-wash only. What is Repour Wine Saver? Repour wine saver has a special stopper made of oxygen-absorbing material. This stopper absorbs the oxygen from the air space in the wine bottle. How does Repour Wine Saver work? The Repour Wine Saver uses a special and simple oxygen-absorbing stopper, no complicated gadget or pump is used here. This Repour Wine Saver is a smart innovation – as it absorbs what you don’t want, i.e. oxygen, and it does not replace the absorbed oxygen with any gas. We find that it is as accurate as 99.95% in its absorption. 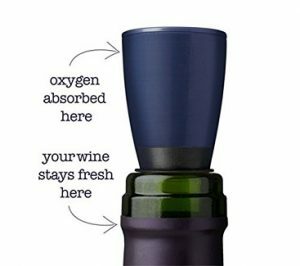 So, you essentially remove the oxygen and prevent your wine from getting the oxidation problem. When you are ready to drink your wine, just pull the stopper out, your glass of wine will taste as good as you first opened it. Why Repour Wine Saver is our top pick for 3-5-days after first open? It is easy to use, simple action, no need to operate any pumping device. 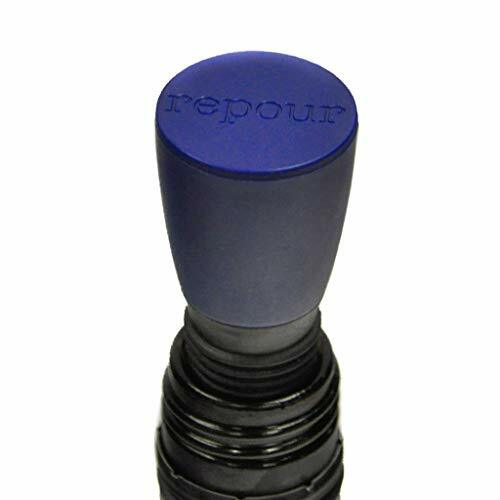 This Repour wine saver is affordable, small foot print and it does the job to preserve your opened bottle for a week. This Repour Wine Saver is budget friendly, portable and it is a very clever wine preservation tool. You can get multiple Repour Wine Savers to preserve several opened bottles (in a wine tasting party). Our neighbors have tested this tool and it works beautifully when they sampled their opened bottle after five days. 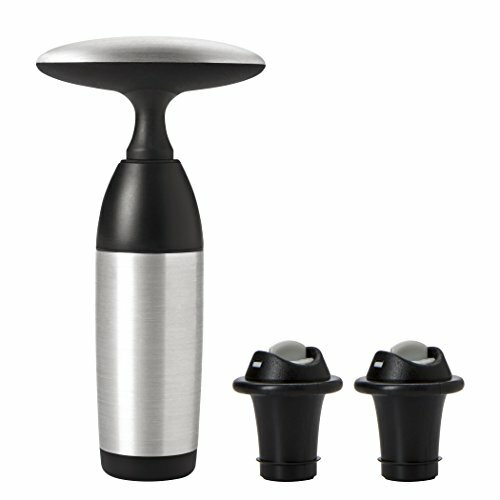 What is OXO Steel Vacuum Wine Saver and Stoppers? 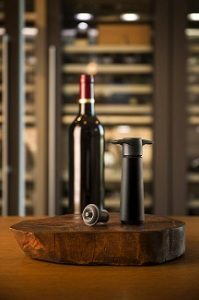 The OXO Steel Vacuum Wine Saver + Stoppers is a wine preservation tool using the method of pumping out excess air from an opened bottle, then seal it with the OXO wine preserver stopper. How does OXO Steel Vacuum Wine Saver and Stoppers work? The OXO Steel Vacuum Wine Saver pumped out the air from an opened win bottle, thereby removing oxygen (enemy to your wine). Then OXO wine stopper re-seals the bottle. When you are ready to enjoy your wine, just push the stopper to release the seal. 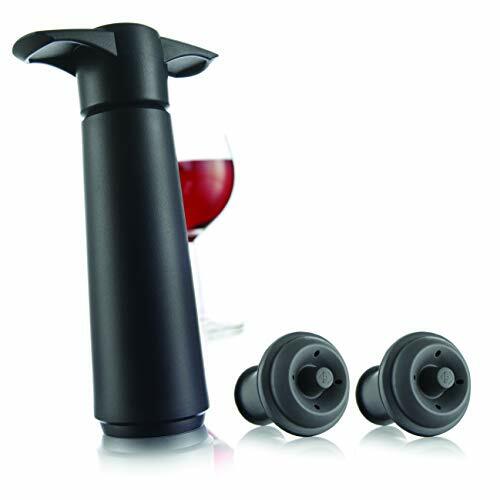 Why OXO Steel Vacuum Wine Saver and Stoppers is our top pick for 5-days after first open? If you have used OXO kitchen products before, you know they are always easy to grip – something about the OXO contour shapes and their comfortable materials. This OXO vacuum pump is easy on the palm when you are pumping out the air. The stoppers are effective and are very easy to use, and they are gentle on your gripping hand. This OXO wine preserver seals an opened bottle very well to help you preserve the taste of your wine. It is made of comfortable and durable material to the gripping hand, and very easy to use. The package includes two stoppers – perfect for occasions when you have two opened bottles of wine. We especially like the quality and material of the pump and stoppers – they will last you for years. 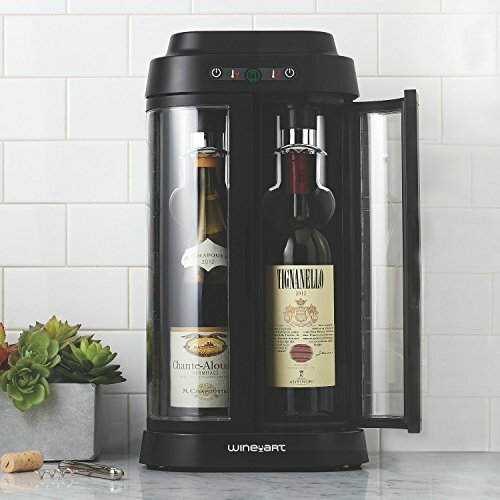 We first saw this beautiful Eurocave wine cooler on the kitchen countertop at my in-laws off the coast of North Carolina. My father-in-law, Louis, is a fan of Eurocave products – he has visited their production facility in Fourmies, France. Louis also owns a Eurocave wine cabinet. My father-in-law likes Merlot, whereas my mother-in-law prefers Pinot Grigio. They typically have two bottles of wines opened for 5-7 days before they finish them. This Eurocave is on their countertop – it is beautiful to look at and, very convenient for them to access their opened bottles during week night dinners. What is Eurocave wine art preservation system and wine cooler? The Eurocave wine art is a wine preservation system and a wine cooler all in one. It uses a vacuum sealing system to protect opened bottles from oxidation. This Eurocave is a dual-zone wine cooler – it has two cooling zones to house two opened bottles of wines at optimal serving temperatures. How does Eurocave wine art preservation system work? It uses an air-extraction technology to remove oxygen from the wine bottle, thereby eliminating oxidation to your wine. It has two cooling zones to keep red and white wines at their optimal serving temperatures, 60°F for reds and 46°F for whites or rosés. When you put your opened bottles of wines inside the compartments in the Eurocave, it takes care of the preservation and cooling for you automatically. You don’t need to work on a pump or to put a stopper on your opened bottle. When you are ready to enjoy another glass, just open the door and take out your wine. It is always at the ideal serving temperature, and every subsequent glass tastes as fresh as the first glass – even after 10 days! Why we like the Eurocave wine art preservation system? This Eurocave is effective to keep wines fresh after opening. This wine cooler provides a convenience way to enjoy a glass at serving temperature any time. If you always have two opened bottles of wine for 7-10 days, this is an excellent wine cooler and wine preservation system for you. If you collect beautiful vintages, you can see your gorgeous bottles from the glass doors. Eurocave’s air extraction system is a proven preservation system – your wine will taste as fresh as your first glass, up to 10 days! This Eurocave is elegantly designed and it looks beautiful on any countertop. It has an intuitive control panel and it is easy to use – no need to operate a pump or a stopper. This Eurocave is most convenient for wine lovers who enjoy an opened bottle or two opened bottles throughout the week. This is a most elegant looking 2-bottle wine cooler to sit on any kitchen counter. Your wine is stored at an optimal serving temperature, and, the last glass tastes as good as the first glass. So, how long can you keep an opened bottle of wine? Get a wine preservation tool above that meets your budget, keep your bottle in a wine cooler, you can enjoy your wine a week to ten days after your first glass. Best is to share your bottle of wine with friends, and finish your wine the same day you open it.